Send the prospectus and course updates to this email address. Send the prospectus and course updates to this email address. Hypnotherapy provides an effective method to understand and heal the roots of psychological problems and create changes in mental processes and behaviours. It is increasingly being seen by the general public and professionals alike as an effective therapy for a wide range of psychological, behavioural and psychosomatic problems. Hypnosis is a completely natural state and can be used to help with many issues from addictions to anxiety and weight loss. Our aim is to help people find meaningful alternatives to their present, unsatisfactory ways of thinking, feeling or behaving and to transform the lives of people who have been programmed over the years for failure, frustration and unhappiness. This course has been designed to give you a solid foundation which includes theory and practical skills. Through the completion of the course, you will have all the skills to set up your own private practice. We will provide you with all the knowledge and skills to help you gain the confidence to run a successful hypnotherapy practice or to integrate it into your current employment. We offer continuous feedback and support throughout. Read an overview of the teaching objectives for each training weekend. 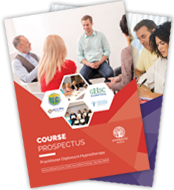 Download or order a printed copy of the latest course prospectus. 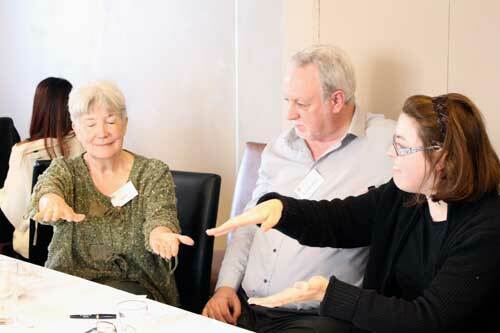 Find answers to frequently asked hypnotherapy training questions. Meet our team of experienced hypnotherapy trainers. 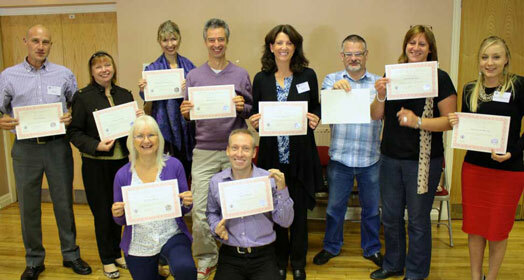 Read testimonials from students of Hypnotic World hypnotherapy courses. Course pricing and a flexible monthly installment option. Venues and dates for upcoming training courses. Why Train with Hypnotic World? 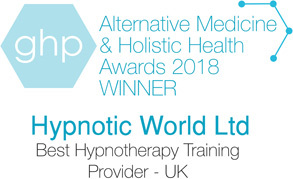 Discover great reasons to choose Hypnotic World as your training provider. Learn about course assessment, approval and accreditations from external hypnotherapy organizations. Start your journey to become a hypnotherapist - enrol on a course today. Thank you for all the information and advice. Thanks to you all at Hypnotic World, I now look forward to my new career as a happy successful hypnotherapist. Thank you again. I have always had a keen interest in hypnotherapy and have experienced its huge benefits. I was lucky to discover Hypnotic World where I was able to use my passion to study part time around my busy business. I am looking forward to offering Hypnotherapy within my practice to help clients improve their wellbeing. I am so glad that I chose Hypnotic World to study with. The breadth of topics covered and the detail in which they are covered by the course was a pleasant surprise, and although I found it challenging, I found the effort required so rewarding. I would recommend this course to anyone serious about becoming a hypnotherapist. Read more about the Practitioner Diploma in Hypnotherapy. Check our Frequently Asked Questions page for answers to common questions. Have further questions, or would like to have an informal talk about training? Call us on 0800 678 5617 or email our support team at support@hypnoticworld.com. The course consists of 10 training weekends - one weekend per month for 10 months over one year. This will provide over 120 hours of in-class training. Only experienced hypnotherapists with long-standing expertise in their field tutor Hypnotic World students. 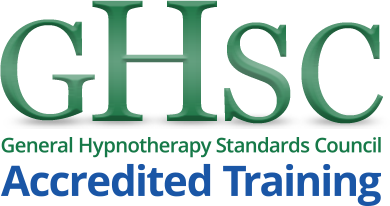 Practitioner Diploma in Hypnotherapy Course is assessed and accredited by the GHSC and the ACCPH (Accredited Counsellors, Coaches, Psychotherapists and Hypnotherapists). Registered with the UK Register of Learning Providers (no. 10021885). Map data © 2019 GeoBasis-DE/BKG (©2009), Google.